Maintaining an e-commerce store is no easy task - it requires a lot more attention and TLC than a small website with just standard pages would. You need to actively maintain inventory levels, check for new orders, update clients on order progress and also deal with online payments. Because of this, Cosmic have put together our top tips for running an e-commerce website. 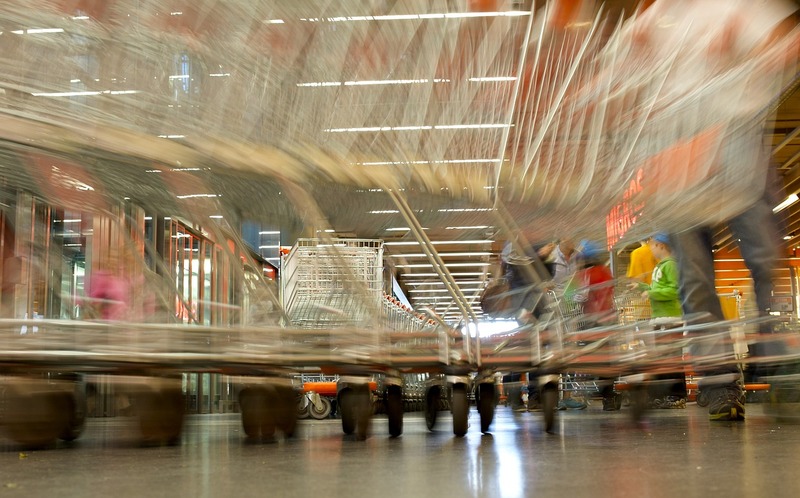 It's imperative that your store is easy to use for shoppers. In the same way a person wants to know where they're going in a high street shop, your visitors will need to know where the checkout/shopping cart feature is and where to go to pay for their items. If a user can't find out how to do this, you've just lost a sale. Display these options clearly and concisely with buttons or icons that are easy to spot - header areas are a logical place for these. This is an incredibly important point - many e-commerce systems such as WordPress' WooCommerce offers the option to not set a stock/inventory limit, essentially allowing for an unlimited amount of orders. Whilst this sounds great, would you be able to fulfil an order of 15,000 pairs of socks should someone come and place an order form them on your online clothing store? If the answer to that question is no, then you should set your stock limits to an accurate level (i.e. the actual amount of stock you have) or a manageable level (i.e. a number of stock you could produce should an order exceed your current figures). By doing this, you can save yourself a huge headache of not being able to fulfil client orders and disappointing your customer base. You could also split these up into Men/Women/Boys/Girls categories if you cater for all. This will allow shopper to get to the products they want to see much quicker rather than having to sift through products that are irrelevant to them. A great picture can sell an item to a shopper before they have even read the product description. 'Visual' items (i.e. clothes and home furnishings) will be hugely impacted by the quality of the image used on the product listings - multiple professional, high quality images should be used to sell these products as it is these that the user will see and take into account first. "A picture paints a thousand words" is an age-old turn of phrase that has never been truer in this situation. Video is the new content king and should be used by all where possible, not just for e-commerce. Studies have shown that items (especially clothing) that have associated video content had increased conversions in comparison to those without. A large UK retailer tested this, offering catwalk videos with some of their clothing items, and it was these items which saw an increase in sales. Videos can also be relatively inexpensive - most of us have modern smartphones and 99% of these will offer HD video footage, some even 4K. A short video of the item can do wonders for your sales. Cross-selling and up-selling has been in existence for as long as we can remember - supermarkets often place loss leaders (products offered at a low/reduced rate) near higher end/better products in order to entice the shopper and attract sales; this is retail 101. On your e-commerce store, you should have the option to display related products (often based on categories and tags) to the visitor so that they can add more items to their order. In addition to this, having potential up-sells displayed in the shopping cart can also be enticing for the buyer - an example of this would be swapping out an own-brand malt whiskey for a more premium brand scotch at a price increase of £25.00. The number of e-commerce stores that do not offer this is somewhat astonishing. It is highly recommended to add the option for an alternate billing address - many users will want to have their item shipped to a work place or relative's house, but when the billing address has to be the same as the shipping address, this can cause issues if there are fees to pay on the item. This usually occurs when the item is coming from overseas and there are import charges, or if the sender didn't pay the full postage amount. The bill would then be received by the place of delivery and could get lost in translation. Having this option is simple yet effective. This one is more of a requirement than a suggestion - you should always include your policies on your website. This would include your shipping/delivery policy, returns and refund policy, terms and conditions and your business registration details. Many payment gateways such as WorldPay require this content to be used on your website in order to use their payment system, so having this visible on your site (often in a footer menu) can be invaluable. We hope you found our list useful - if you would like to know more about e-commerce websites and how Cosmic can help, please get in touch!